This HOWTO is provided in the hope that it will be useful. You know the drill. If you blow up your machine, it's not my fault. 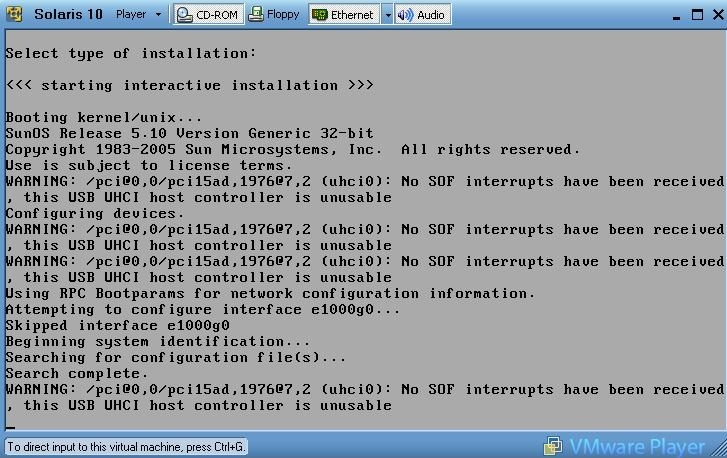 This is a Windows XP host OS, running a Solaris 10 Guest OS. 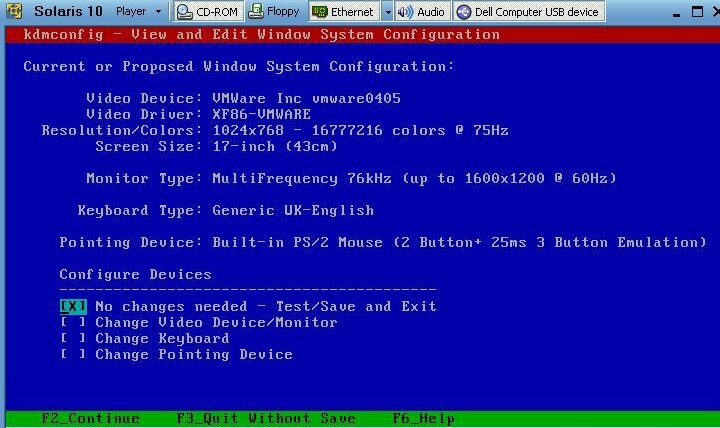 Most of this is also relevant for running any OS under any other OS, but these details are based on a Dell D610 running Windows XP, with a Solaris 10 Virtual Machine. First, download Qemu from http://fabrice.bellard.free.fr/qemu/. Here, I have extracted it to my D: drive. This will create a disk image - a file, initially sized about 1.4Gb (it may grow up to 10Gb if you fill it up). If you want a different size, just specify the size you want the virtual disk to be in the command line. Similarly, choose whatever .vmdk filename you want. You may now delete Qemu if desired. Note the memsize="300" line. This only gives it 300mb of RAM; you may want to give it more, particularly if you plan to use the GUI. You now have a disk and an OS. Good, eh? Now what do you do with it? Go with the default display settings for now - you can tweak them later. 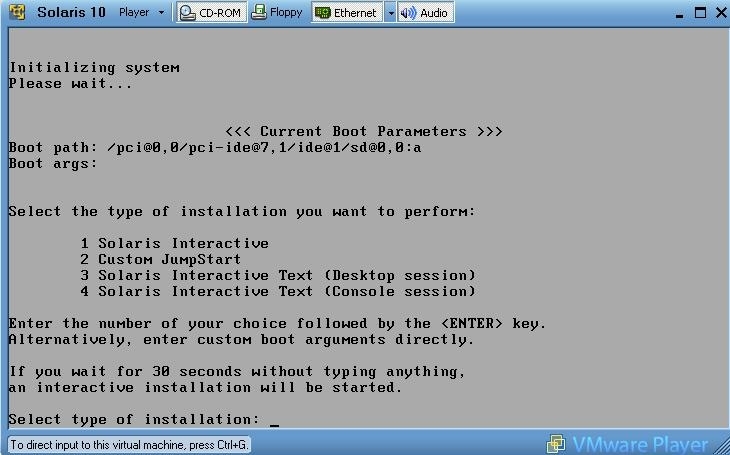 To toggle between the Virtual machine and Windows, you press Ctrl-G (or double-click in the window) to get to Solaris, and Ctrl+Alt to go back to Windows. 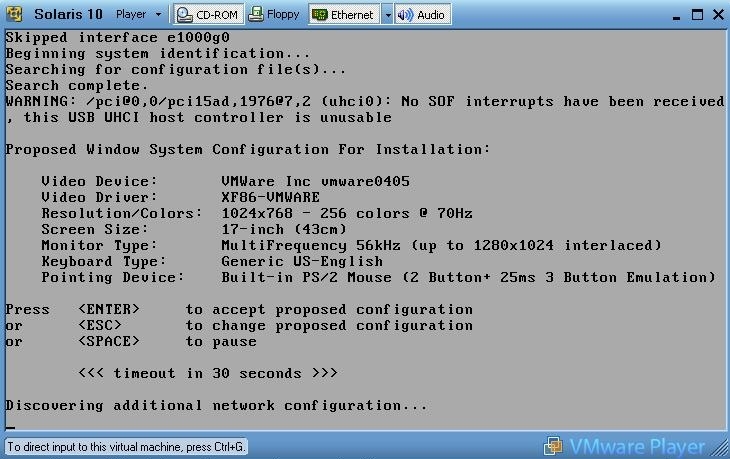 Go through a normal install, enabling DHCP for "e1000g0". I choose "Entire Distribution plus OEM support", though it seems to be the same size as without OEM support. At the disk formatting point, you will get a message you don't usually see - tell it to use the entire disk for Solaris and boot partitions. It does tell you the size of the disk, so you can confirm that it's not going to blast away your Windows install! It would probably be quicker to do the install in text-only mode. When changing CDs, just click "Next" at the prompt and it should spit out the CD. Then you can log in to JDS (or CDE, if you prefer). You might notice the new "Dell Computer USB device" item; I do not know how that appeared, I have not investigated USB, but it just appeared part way through the install. 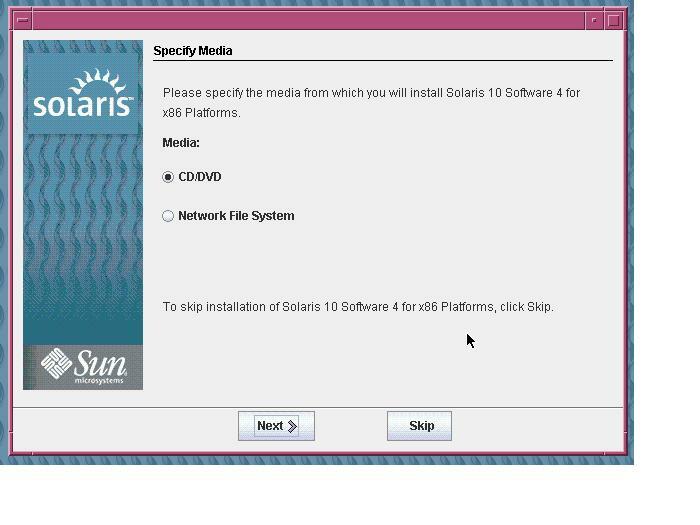 On my previous Solaris 10 GA install, it does not appear. 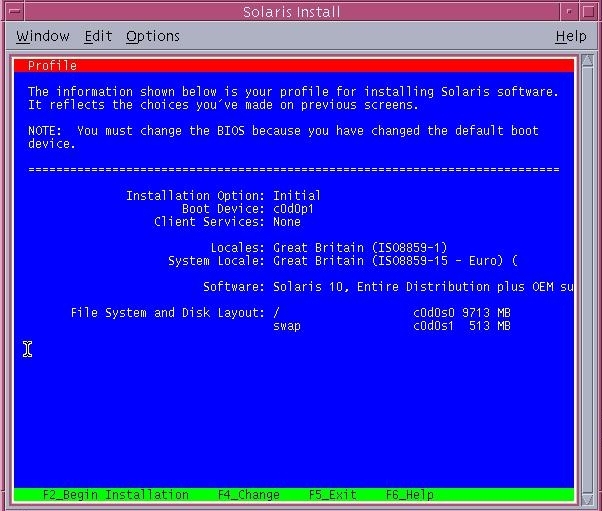 Now would be a good time to patch your Solaris instance. 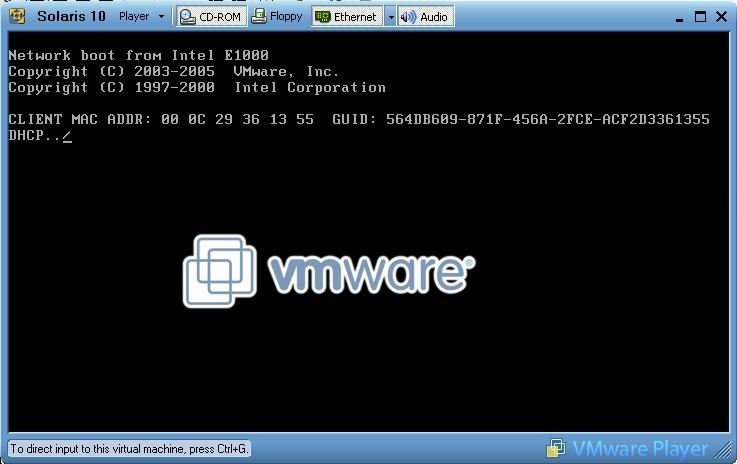 Better still, create yourself a non-root account, don't PermitRootLogin, and just do the svcadm enable ssh.